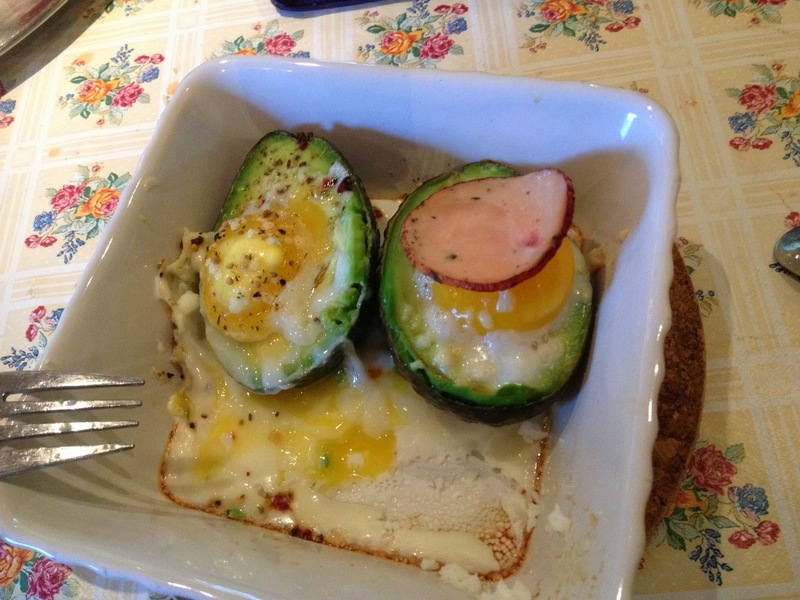 Halve the avocado and take out the pit. Put the two halves in an oven-proof dish. Crack an egg into the pit hole of each half. Garnish with cheese and spices according to taste. Bake in the oven for 10-15 minutes, depending on how done you want the egg to be. There's a first for everything. I usually love avocado, but I did not care for this at all. I ate the egg, but left the avocado behind. What a waste of a good avocado. Won't be making this again.